On this week’s program we include a report from an advocate directly from the Adelante Immigrant Detention Center on the current hunger strikes. 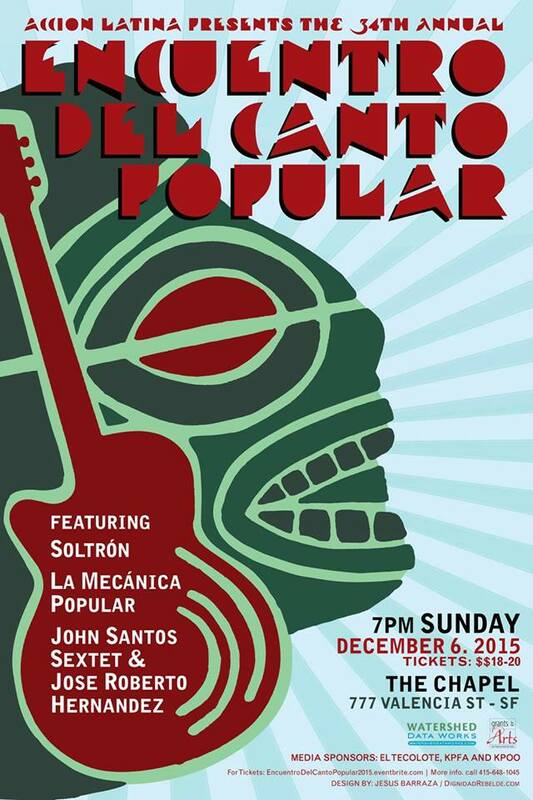 We feature interviews and music from this year’s Encuentro del Canto Popular; Soltron y La Mecanica Popular and the music of John Santos. We also share with you holiday mariachi music and the the poetry of Francisco X Alarcon in honor of the upcoming Ruben Dario centennial event. Enjoy!